Crta. 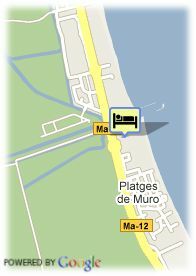 Alcudia - Artá s/n, 07458 Playa de Muro, Spanje. Hotel Grupotel Parc Natural and Spa has been open for ten years, and it is located close to the Natural Parc of S´Albufera, together with the dunes of Playa de Muro. Grupotel Parc Natural and Spa is one of the most luxury hotels in Mallorca. In this hotel, you will be able to stay in one of its wide rooms, where you will feel spoiled in a atmosphere of nature and comfort, with all the advanteges of being close to Playa de Muro. In this luxury hotel you will breath the air you need to desconnect in your holiday thanks to its wonderful facilities, personalized service and its location. Between its services, you will find a conference room with natural light of 70 people. Its Spa has been recently refurbished, and that makes it the perefct choice if you wish to relax and enjoy all the treatments that it offers. 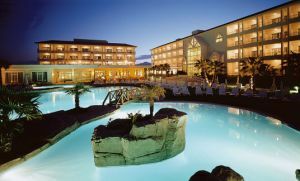 Grupotel Parc Natural and Spa received the certificate ISO 14001 for being environment friendly. The rooms offer a wide space witha romantic decoration. From the balconies you will have a view over the gardens and the pool.